Rombus support packages supplied by Aln Technology can be available to our customers 24 hours a day, 365 days a year if required. Support is available 24/7, onsite, online or by telephone and are accompanied by guaranteed response times. So why take out a support contract? No knock on incidents – repairs are documented in our system so we can review case notes and avoid reoccurring problems and plan for future events. Maintenance – Don’t risk a problem occurring that will cripple your business, a support contract will allow continued maintenance. Free advice – considering a new product or way of working, Aln will be able to point you in the best direction and advise you throughout the process. Training – Aln will pass on tips and instructions so you can learn how your system works. Personal touch – Aln will learn about your organisation, your systems in place and the way we work to improve the efficiency for fixing problems. Immediate access – If something does go wrong, a call can be logged and Rombus will return your call within 4 hours*. *Between the hours of 8.30 and 6pm, out of hours options are avalible. Unlimited telephone, email and remote support – Our friendly engineers have multiple methods to remotely support and solve issues. Onsite support – If we are unable to fix your system remotely we can arrange for our engineer’s to visit your site at your convenience. Quarterly on site visits – Our business development department will work with you to plan for the future and make sure your IT solution supports your business goals. Consultation – Were not just here to prevent and fix problems. 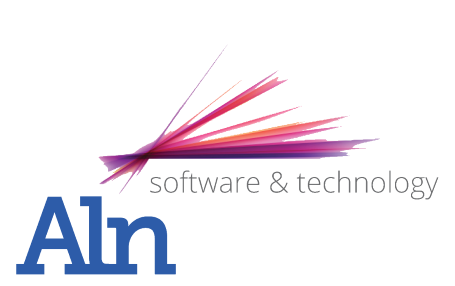 Use Aln for advice on the integration of new products, services and systems throughout your IT. Optional flexible offsite backup of your data – Using Rombus OBM we can back up your data to our secure data centre and we will monitor your backup.